I don't want to knock this blender entirely. 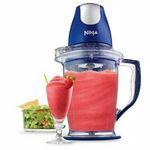 It's perfect for a poor college student that likes to make juice smoothies or someone that would rather spend money eating out instead of on fancy home cookware appliances. It serves a purpose, just not especially well. Firstly, for ease of cleaning, which I'll get to later, the bottom of the blender screws off. This is exceedingly problematic if the bottom wasn't VERY tightly screwed on prior to blending. If you go to take the blender off the mount after blenderizing and accidentally twist, there is a decent likelihood you could untwist the bottom of the blender and end up with your pants, shoes, and kitchen floor covered in a flood of whatever you were mixing. As far as ease of cleaning, the gusto and power that this machine exerts is barely enough to chop ice consistently into pearl sized pieces much less release caked food from a teeny crevice. The blade and bottom are detachable, so you could soak the parts separately in a bowl of hot water, just being extra vigilant that the super sharp blade doesn't nick your hand. Great for lightly blending of protein shakes, but not so great for high pulp purée soups or frozen drinks with the expectation of a perfectly smooth consistency. I love this blender. It has a charming retro look and is small enough to fit any small corner. This blender is loud and powerful. The bottom of the glass container can be screwed opened, so that helps with cleaning it. The build quality of this blender seems to be fairly sturdy. 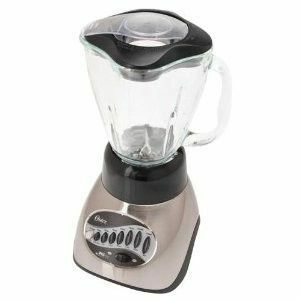 The base of the blender is all metal with a little metal prong that spins the blades when the glass jar is attached. Most of the blending mechanism is metal except for a plastic grommet or something that screws onto base before you blend. An excellent choice of quality glass, plastics and metal went into the construction of this machine. OSTER has achieved near excellence with a very reasonable price. Oster should be proud of this product and I hope they keep selling it until eternity. I BOUGHT THIS PRODUCT MYSELF. You get what you pay for. I have to crush the ice myself before I crush it in the blender because it's not powerful enough to handle it. I make smoothies in it, but everything gets stuck down in the blade, so I constantly have to stir it myself, then blend again. This blender works really good. I never have any issues. 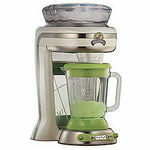 Makes great drinks, milkshakes and even good to make my sofrito. 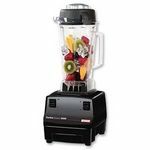 I bought this blender about 3 years ago when my husband and I first moved in together. It was the best decision I made. For the price you get a great blender. The only thing it seems to have some trouble with is ice. But I mainly use it for salsas anyways. It's very easy to clean and take apart. I highly recommend this blender. 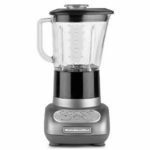 It is a fine looking budget priced blender. The lid fits properly and is light weight enough to pour from one full. The blades were efficient and the motor is of average volume. Crushing ice is always the best test, and it does just fine getting an even consistency. A few chunks we left a bit larger. 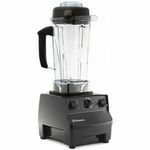 Sauces are easy with this blender. Smoothness is attainable. Whip home made cream with ease. The cord is of average length, but with most blenders and other kitchen appliances, a retractable cord would add to the appeal. Most parts detach and make for a quick and easy clean up. Speed settings are great. There are 10 different setting to get whatever it is you are trying to chop, blend, crush, or whip.